Premier League Darts - Who will escape Judgement Night? 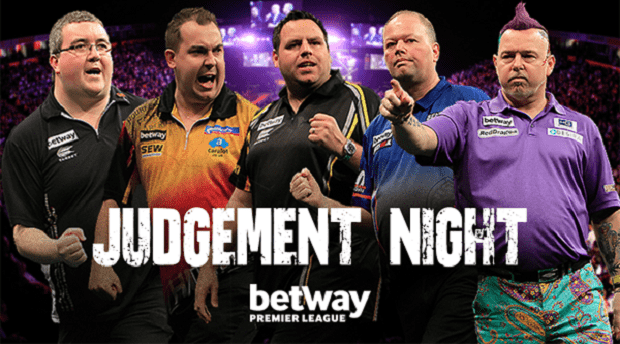 The Betway Premier League Darts Season is reaching its first climax, with judgement night set to take place on Thursday 2nd of April at The Manchester Arena. Five players are still in danger of elimination and it’s all to play for in the latest edition of the Premier League campaign. Last week’s action did little to decide anyone’s fate, and its led to a thrilling night in store for judgment night, where any two of five players could be on their way home. Michael van Gerwen secured his position at the top of the Premier League table with a superb display to beat fellow countryman Raymond van Barneveld and leave him teetering on the brink of survival. Van Gerwen produced some thrilling darts, averaging 108.71 and taking the game 7-2. Second in the table, Gary Anderson, also won, beating Stephen Bunting 7-4; and third-placed Dave Chisnall continued his scintillating run of Premier League form by steamrollering Adrian Lewis 7-2. That left Lewis in real danger of elimination this week, and only Kim Huybrechts is below him in the table. Huybrechts went down 7-4 to Phil Taylor and Peter Wright lost 7-3 to James Wade in the night’s other match. All that means that there are five players who will go to the Manchester Arena with a few nerves as they could face elimination if results don’t go their way. Definitely safe though, are Michael van Gerwen, Gary Anderson, Dave Chisnall, Phil Taylor and James Wade. Stephen Bunting has six points but because of his superior leg difference, he only needs to win two legs in his match with Kim Huybrechts to be safe. Peter Wright is also on six points but has a -14 leg difference. He needs a win or a draw to guarantee safety, but if he loses can still survive if Raymond van Barneveld also loses. Raymond van Barneveld is on just 5 points, with a -13 leg difference. He will definitely be safe if Kim Huybrechts fails to win, and Barneveld himself achieves a better result than Adrian Lewis. Adrian Lewis is also on 5 points, but is just behind van Barneveld with a leg difference of -14. He will be safe if he beats Peter Wright, but could also be safe with a draw provided van Barneveld loses. Kim Huybrechts is the one player who looks to have an impossible task, and he must win against Bunting while hoping that Lewis and van Barneveld lose by enough legs for him to overcome his inferior leg difference. Way back at the start of the season we tipped van Gerwen and van Barneveld for Premier League glory, and while van Gerwen is doing the business, van Barneveld is on the brink of elimination. However, we’re backing him to pull off a shock this week at a big price as he fights for survival. Raymond van Barneveld is the current Premier League Champion, and he is still a match for any player on his day. He’s suffered a pretty poor season so far that commenced with a 7-1 defeat at the hands of Adrian Lewis. That match was to set the tone for the Dutchman’s season, and it wasn’t until week 3 that he gained his first points from a draw with Peter Wright. His first victory came the following week against Stephen Bunting, but he had to wait until week seven for his next win – a surprise victory over Phil Taylor. A loss to van Gerwen last week left him deep in trouble, and he faces a tough match against Gary Anderson. The Scottish player is more than comfortable in second position in the league, and is under no pressure here, but that might suit van Barneveld better. He showed that he can take on and beat the best when he beat Phil Taylor just a couple of weeks ago, and he is a worth a punt at a huge price considering he badly needs the win. 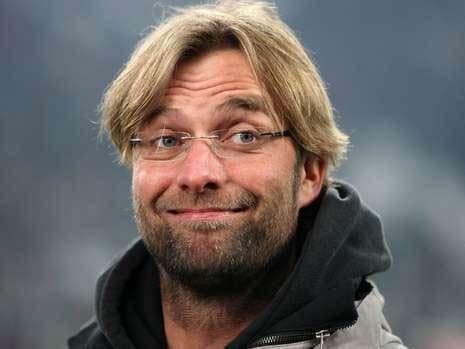 The other match we fancy a flyer on doesn’t have any effect on elimination and is between two players who are already assured of Premier League safety. We’re backing Dave Chisnall at a huge price to overcome Phil Taylor and maintain his imperious start to the campaign. Neither player will be under any pressure here, and it should be an excellent game of darts to watch purely for the entertainment. We all know about Phil Taylor’s brilliance over the last decade or more, and it’s not normally our advice to back against him. However, there have been one or two chinks in his armour this season, and he’s already suffered defeats to Gary Anderson, Michael van Gerwen and Raymond van Barneveld. He was also held to a 6-6 draw by Peter Wright. Chisnall beat Anderson 7-2 just a few weeks ago and is playing excellent darts right now. He has admitted that his performances have dropped off slightly over the last couple of weeks, but hopefully he can raise his game for Judgement night – and he will need to to take on Taylor.